The roof rack is very versatile, made to fit skis and boards of all sizes, and also to accommodate other types of gear such as bicycles and kayaks. 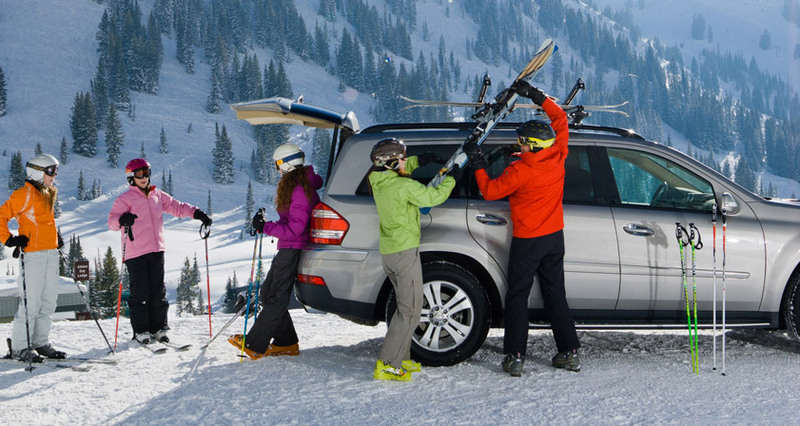 Skis are positioned in locking, rubber-coated arms and secured with a fastener, where they are held firmly in place on top of the vehicle. Factory-installed roof racks provide different options, such as side rails, mounting points, and crossbars. If no roof rack is included, the buyer will need to purchase a separate own rack system.